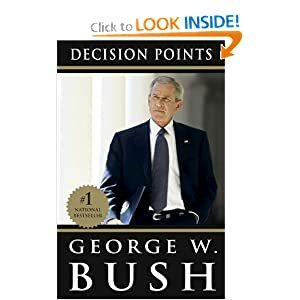 Decision Points by George W. Bush is easy to read and to the point. I love the way the book is structured around key decisions during his presidency. I enjoyed it thoroughly and highly recommend it to anyone who is interested in finding out how and why George W. Bush made the key decisions during his presidency. He came across as a patriotic President to me. Also, I learnt the complexity of making decisions that affects the world as the President of America. It’s not black and white as we, the commoners, perceive because there are so many details and facts that only the top administration is aware of. I think it will take at least a decade or more to figure out if his decisions were right or wrong. One thing is for sure and that is: he became President at one of the most unfortunate time in history. If I understand it right, even Abraham Lincoln was a very unpopular President during his term and was often ridiculed. It is only now that we know that he was one of the greatest Presidents. So, let the time judge the presidency of George W. Bush.